Ordered to pay $30k in damages… for selling a $40 used printer!?! Are you safe from a lawsuit? Doug Costello of Massachusetts certainly thought he was. In 2009, he sold a used printer on Craigslist for $40. Nothing serious about that, right? But a few months later he was slammed with a court summons. The buyer, Gersh Zavodnik, was seeking $6,000 in damages for selling him a “broken” printer. Gersh “claimed” he’d tried to resolve the issue with Doug, but got no answer. So he sued him instead in the Marion County Small Claims Court. But because he’d thrown away the evidence (the printer), the judge ruled against Gersh. Doug thought he was done. For the next SIX years, the case bounced around numerous courts. And in March 2015, Special Judge J. Jeffrey Edens finally issued a ruling. He said Doug owed Gersh $30,044.07 for breach of contract! All this for a used printer that cost $40. How is this guy still allowed to be a judge? And this doesn’t even factor in the over $12,000 Doug had to pay in legal fees to defend himself. Naturally, Doug appealed the ruling. When he heard the news from his attorney, Doug nearly broke down in relief. Again, all this for a $40 printer. I can’t believe people like Gersh can get away with filing such baseless lawsuits. Yet this stuff happens all the time. 1 in 4 Americans are sued at least once in their lives. And as you can see with Doug’s situation, it can have massive financial consequences… even if you win! The courts eventually PROVED he was right. But he still had to spend $12,000 in legal fees and almost 7 years of his life fighting this lawsuit. 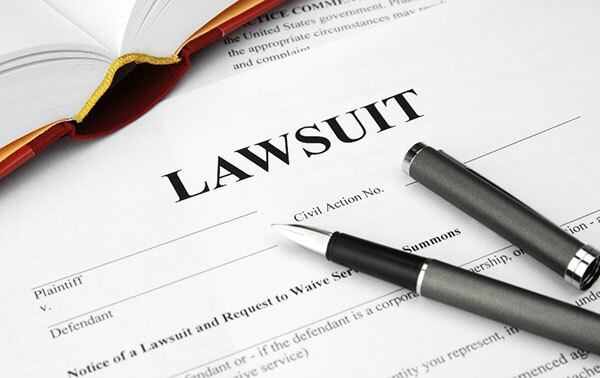 Thankfully, there are a number of ways you can protect yourself before a lawsuit happens. There are many variations of an LLC, but it is one of the simplest protection strategies for someone just starting out with a business. But even large corporations use LLCs because of their simplicity. That being said, to use an LLC, you must have a business of some kind. And some of the benefits of an LLC are exactly why you should create side business or hobby business. And depending on the state you form your LLC in, you can easily set one up for a small fee instead of involving a professional. Although involving a professional does ensure that all the right documents and forms are filed properly. A trust is a great way to provide protection for you and your family and doesn’t require that you have a business like an LLC. A Trust can prevent many headaches for you and your successors when unforeseen events occur. Having a Trust in place means all the potential legal scenarios are proactively taken care of ahead of time so there won’t be any surprises later. The cornerstone of asset protection in United States has everything to do with OWNERSHIP, not control. If you own it, someone can take it from you. If you don’t own it, there’s nothing to take. That’s why an Irrevocable Trust is a perfect solution for anyone who wants to fully protect their assets. An Irrevocable Trust is a closed universe and you don’t have to depend on anyone else to safeguard your money. The one big problem and drawback of an Irrevocable Trust, however, is that you have to give up control. And they are unchangeable. But as long as you educate yourself and use the best lawyers possible, you don’t have to be afraid of an irrevocable trust. In fact, there are ways to structure them where you can still retain nearly complete control over your assets. Since some people are squeamish about giving up control with an Irrevocable Trust, they might be more excited about offshore trusts. With an offshore trust, you still have to name a 3rd party Trustee. But you can name yourself as Beneficiary. Ultimately, it means that you give up ownership of your property to the Trust, but you still retain control of the assets. That’s because the Trustee is required by law to carry out the instructions within the trust for the benefit of the Beneficiary. So with the offshore structure where YOU are the beneficiary, the Trustee simply buys and sells within the Trust at your direction. The main reason most people don’t use an offshore trust is cost. Until you have an estate that exceeds a million dollars, it is likely not cost effective. So… these practical steps ensure that even if you do get wrongly sued, your finances won’t be destroyed. In fact, if you use a “power offense strategy”, you can ensure you owe almost nothing — even if you end up losing the lawsuit.